I believe the little moments impact the big ones. Of course you could totally say "duh, that was obvious," but I think we don't pay enough attenton to how much impact a word of encouragment can give someone who feels like nothing is going their way. How a day in the park, or finishing a good book, can instantly change your perspective and leave a refreshed and renewed feeling afterward. Sometimes I feel that it's easy to be caught up in the big picture and disregard all the work and effort it took to get there. 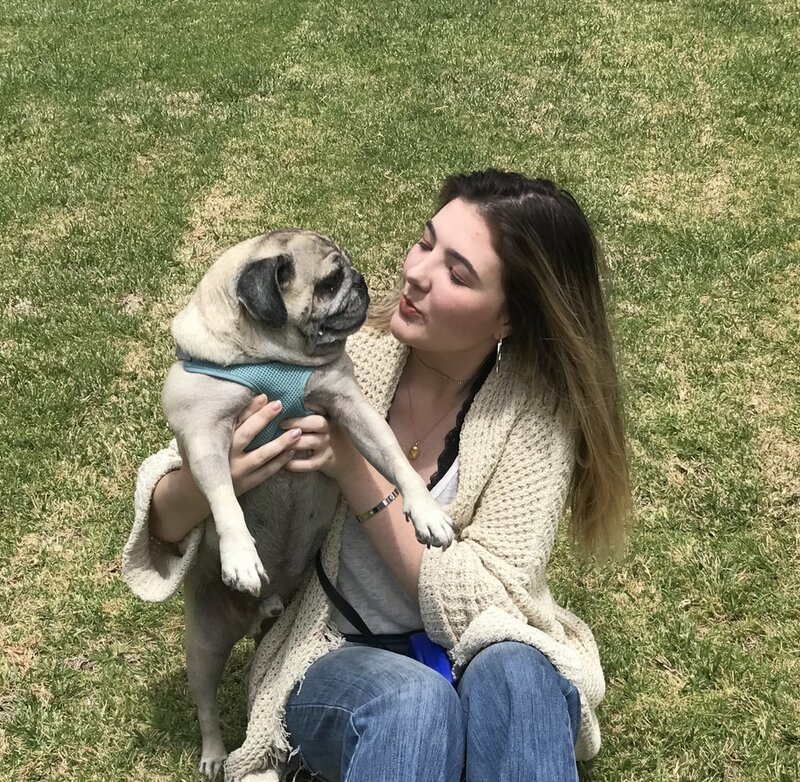 A little joy for me is taking the time to spend a day in the park with my pug and sister. It allows me to give attention to my Pug, who spends most of his days indoors sleeping, and also allows me and my sister to get out of the house and enjoy the last cool days of the month before the Summer heat really hits. Also, can we take a moment to appreciate how sassy the pug looks. There's nothing better than wearing my favorite pieces and lounging around under the shade of a cool tree with those I love the most. In these moments, I recognize that the big picture of life may seem overwhelming and confusing, but there is beauty in the small corners of life that determine the happiness we have for the big instances. It's the small moments that we take to recharge or to tell someone we love them, to give an encouraging smile, hug, piece of advice that allows us to center ourselves and remember why we make the sacrifices we do. Life is full of twists and turns, and I want to be present for all of them.